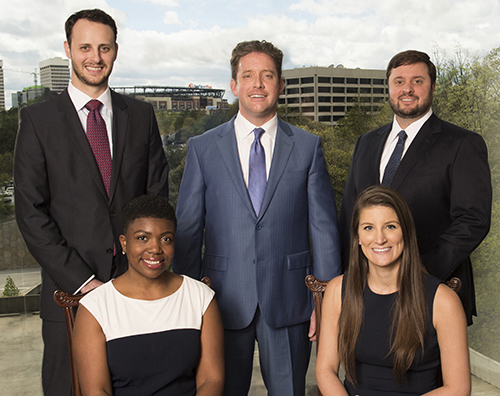 Kurt Mattson and his team strive to provide their clients with the highest level of customer - oriented financial, estate and retirement planning and wealth management. To learn a little bit about Kurt's high performance team and help you understand how they function internally, please read their biographies below. Brad Andres is licensed as a Certified Public Accountant (CPA) in the state of Georgia. Brad is also a member of the American Institute of Certified Public Accountants as well as the Georgia Society of Certified Public Accountants. Brad is a graduate of Franklin & Marshall College where he earned a B.A. in Public Policy. Brad also earned a Masters in Accounting from Mercer University. Before joining the Mattson & Associates team in September 2015, Brad was part of the Financial Services Assurance Practice at PricewaterhouseCoopers. Prior to that, he was a Wealth Management Advisor at Merrill Lynch. In addition to his CPA license, Brad holds his Life, Accident & Sickness as well as Variable products insurance licenses in the state of Georgia. He also holds Series 7 & 66 securities registrations. Originally from New Jersey, Brad has spent the majority of his life in Dallas, Texas. He currently lives in Atlanta, Georgia with his wife Lucy. Brad also played independent professional baseball after college. Kurt Mattson uses Mattson & Associates as a marketing name for doing business as representatives of Northwestern Mutual. Mattson & Associates is not a registered investment adviser, broker-dealer, insurance agency or federal savings bank. Northwestern Mutual is the marketing name for The Northwestern Mutual Life Insurance Company, Milwaukee, WI (NM) (life and disability insurance, annuities, and life insurance with long-term care benefits) and its subsidiaries. Kurt Mattson is a Representative of Northwestern Mutual Wealth Management Company® (NMWMC), Milwaukee, WI (fiduciary and fee-based financial planning services), a subsidiary of NM and federal savings bank. All NMWMC products and services are offered only by properly credentialed Representatives who operate from agency offices of NMWMC. Representative is an Insurance Agent of NM and Northwestern Long Term Care Insurance Company, Milwaukee, WI, (long-term care insurance) a subsidiary of NM, and a Registered Representative of Northwestern Mutual Investment Services, LLC (NMIS) (securities), a subsidiary of NM, broker-dealer, registered investment adviser and member FINRA (www.finra.org) and SIPC (www.sipc.org). Kurt Mattson is primarily licensed in Georgia and may be licensed in other states.